HOURS & SALARY: 30 hours/week. Includes week day and weekend hours. $500/month stipend & Orca pass provided. BACKGROUND: Pike Place Market Foundation supports the soul of the Market – its people. By helping our neighbors who work, learn and live in and around the Market, the Foundation nurtures a thriving Market community. Established in 1982, The Market Foundation has granted more than $30 Million to provide housing, healthcare, healthy food, childcare and a community of support to our most vulnerable neighbors. Over the past 36 years, The Market Foundation has contributed to a neighborhood model that allows a diverse community to live and thrive here at Pike Place Market: www.pikeplacemarketfoundation.org. Excellent customer service, oral and written communications skills. Ability to be proactive and work independently with a “can-do attitude”. Professional and courteous demeanor at all times with public, donors and co-workers. Preference given to applicants who have nonprofit volunteer experience. This position requires the ability to lift a minimum of 25 pounds. Some physical labor is required for setting and breaking down the outreach booth and standing on your feet or sitting on a stool for multiple hours. 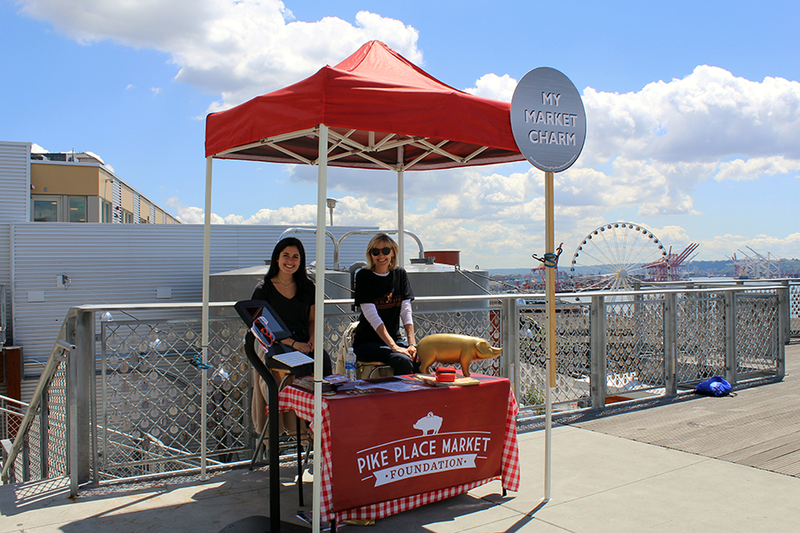 Thank you for your interest in working with our team at the Pike Place Market Foundation!